So our renovations started in early December 2017 and I naively thought that after all the months of planning we could just sit back and let the builder and tradies do their thing and I could finally relax...well what was I thinking! 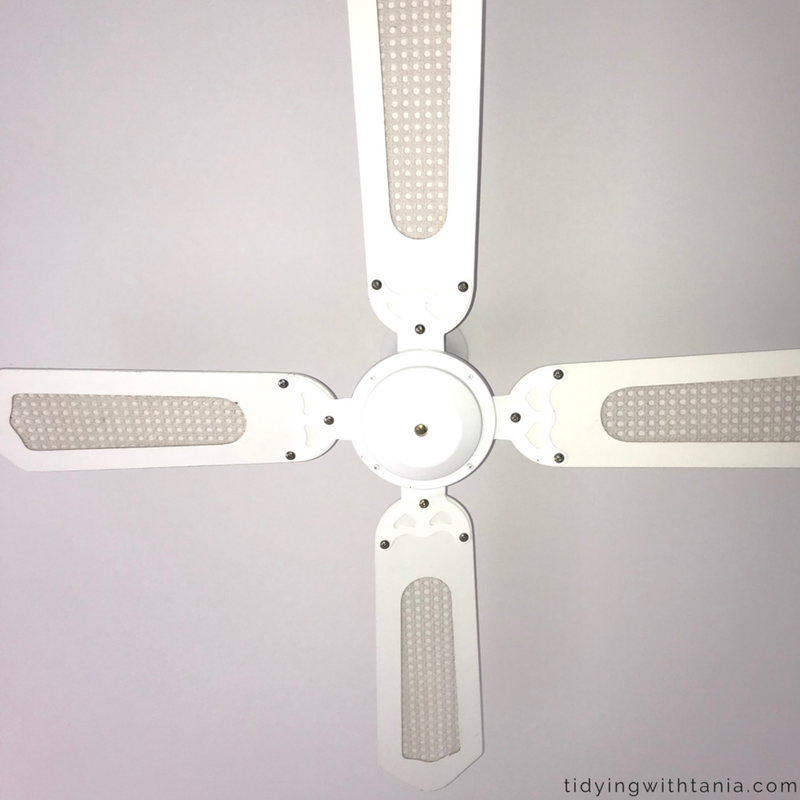 The list of to do's just keep going and a lot of small things that we just didn't think of, like removing and cleaning the ceiling fans because the ceiling was being skimmed. So this post takes you through how Pete and I set about cleaning these very filthy things. And because we try to avoid chemical cleaners we only used baking soda and vinegar and they came up a treat. This is just the list of things that we used and I would recommend having if you are going to do the same. This is a bit like stating the obvious, however I do need to point out that you need to take the ceiling fan down from the ceiling!. Make sure that you use a ladder, safely, and turn off the power supply as well. You don't want to chop your head off by accidentally setting off the fan while removing it. Then it was just a matter of getting stuck in and cleaning! Then I mixed up a paste of baking soda and my general cleaner. I just used the baking soda jar lid. You could use a small bowl instead. I took each piece and sprayed them first with my general cleaner, then took my toothbrush and used it to spread the "paste" around. Using the toothbrush as a scrubber I was able to scrub all the surfaces and the difficult to get to areas. Pete used the bucket with soapy water to clean off after scrubbing and then simply wiped the surfaces down with a dry clean cloth. Some of the surfaces needed a bit of extra elbow grease (a good hard scrub). Pete and I were really pleased with how well they came up! Almost new looking. The cleaning did not change the slight yellowing of the paint and surface, that is simply an age issue, however by being sparkling clean they looked so much better. All we had to do was to ensure they dried off well and reassemble the parts, and Bob's your Uncle! it's all done. A couple of pointers, as the ceiling fans were of an older type, each fan had a centre cane laminate. To clean this I did just as described above, however I made sure that I used a nice soft toothbrush. This meant that there was no damage to the laminate. So there you have it, a simple and effective, non chemical way to clean your ceiling fans. If you want to get more ideas and resources on cleaning in the home just check out my Pinterest page and don't forget to follow me so you can see all the latest information that I add. Well that's it my friends, just short and simply post this time but hopefully of some use and maybe its got you inspired to go clean whatever it is that you have been saying "oh I must clean that sometime"